Chloé Derderian-Gilbert is a Portland, OR based designer and maker. She grew up on the East Coast and was trained at Parsons School of Design. She moved to Portland, OR in 2010 and lives here with her husband, 2 daughters and 2 chihuahuas. 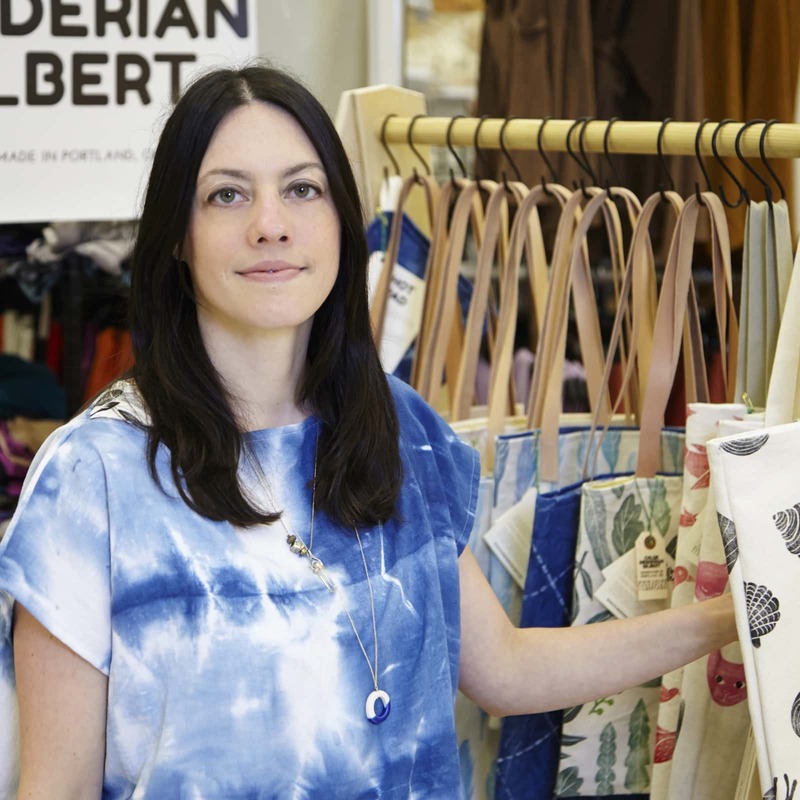 Chloé Derderian-Gilbert designs and screen prints textiles by hand, which she uses to create handmade home goods and accessories. Her designs focus on plants and animals; she uses natural dyes, non-toxic inks and organic materials. All of her products are made in her Portland, OR studio.